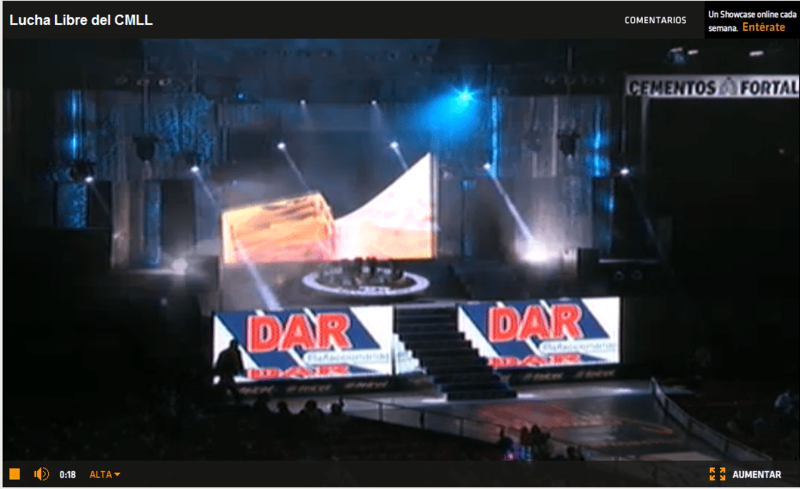 CMLL Anniversary show starts at 8:30 pm Central Time. (Helpful time conversion page.) Terra.mx will post a link to the stream a couple minutes before. Action will not start until around 5-7 minutes after, so you should have plenty of time to find it. Terra does not post the shows directly after they’ve aired. They do often (but not always) turn up in the TerraTV section of their website some days after they are. I am efforting to record the show, but since I will actually be at the show, I will not be able to monitor the recording to see if it’s working. I believe other people will be trying to record and something should turn up eventually. 2) You may get a pop up asking if you’re sure you want to go to the Mexico site. You can check on the box next to “No mostrar mas este aviso” to stop this from coming up in the future. 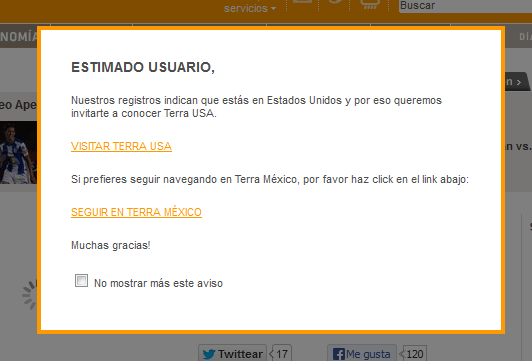 Click on “SEGUIR EN TERRA MEXICO” to continue onto the Terra Mexico site. “AUMENTAR” is in the bottom right of the screen, and allows you to watch full screen. Hit ESC to escape out of full screne. Thanks for that instructional. Very helpful!